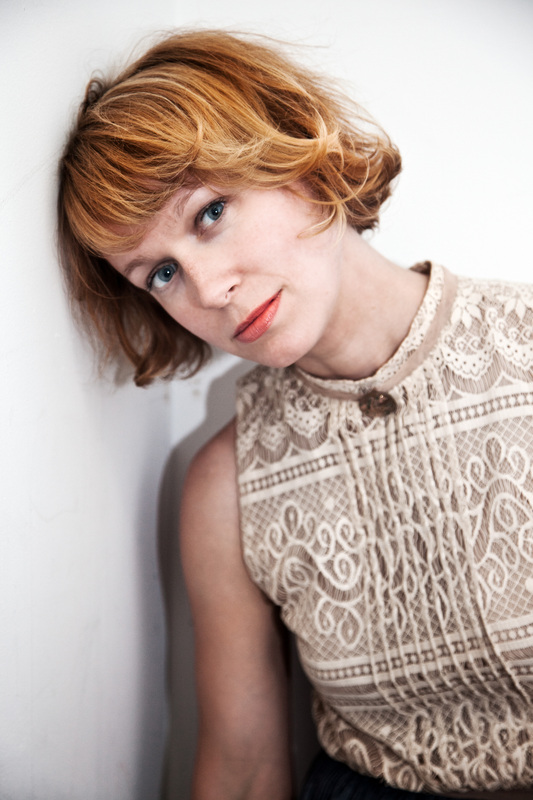 Former lead singer of Rainer Maria, Caithlin de Marrais’ tapped the Poison Tree‘s Steve Salett and Josh Kaufman for co-production of her new project Red Coats. On her solo debut, Caithlin distinguishing characteristic isn’t that she was the frontwoman for emo vets Rainer Maria, but that she was the bassist. These are slight, spacious tracks, and the chattering drum loops and weightless strings could just wander away without the muted low-end muscle, like electrons lacking a nucleus. This isn’t the most effective way to write songs, but sounds that’d be crushed in a busier mix — a crawl of brittle guitar on “Birds,” a shivering synth on “City Girl,” de Marrais’ shyly pretty voice — are given a chance to gleam, as they cluster shyly around her more forceful, composed bass lines. It might surprise you that the former frontwoman of indie band Rainer Maria is an avid gardener. Housed in what used to be a furniture building -- “this is where the trucks used to back in,” De Marrais, 38, says of the porch -- the 1,500-square-foot, ground-floor duplex retains much of its industrial charm, with a wall of exposed brick and a woodburning fireplace in the living room. The singer, who’s now gone solo since the band broke up in 2006, and her photographer husband of eight years, Spencer Heyfron, found the space on Wyckoff Street four years ago after an exhausting day of apartment hunting. They had been living in Cobble Hill and needed more space. Inside, the loft-like apartment features an open living/dining room, a galley kitchen, an office, a small library and three bathrooms. Long-planked hardwood floors run throughout the space, and ceilings soar to almost 12 feet. The one drawback? There’s only one bedroom -- and it’s occupied by the couple’s 2 1/2-year-old son, Oscar. “This was our bedroom, but we’ve given it to Oscar. He has a special setup,” De Marrais notes of the neat arrangements of toys in the spacious room. She and Heyfron now sleep in an area separated from the back of the cavernous rectangular living room with a large bookshelf. It’s just one of many configurations that the apartment has undergone. “We are always changing things around,” she says of the flexible layout. The basement level houses a shared workspace and a smaller alcove area that was once a small guest room but is now being used as a library. Even the work area changes depending on who’s working there. “When I was demo-ing, I was the one down here. I had my piano and desk set up in here. I had my ideas up here,” De Marrais says of the blackboard that covers the back wall of the office. “Now it’s taken over by his work,” she adds, referring to Heyfron, who shoots for New York Magazine’s Look Book, among many other outlets. De Marrais’ keyboard, on which she writes most of her songs, sits in the corner of the basement office, while her big Rainer Maria bass amp is stowed away in the laundry room. But that’s not to say that De Marrais has stopped making music. She completed her second solo album, “Red Coats,” which will be released by End Up Records on Tuesday. At just 30 minutes long, the record is a short work but not slight in any way. Most tracks meld lush strings with catchy pop hooks that bring to mind the best of Rainer Maria. “It sounds like it came from a modern city, but one where nature has covertly found its way into every crack in the sidewalk,” De Marrais says about the album. ROCK ON: De Marrais shares the duplex's basement office with her photographer husband. While De Marrais and her family are enjoying indie domestic bliss in Brooklyn, like most New York renters with kids, she envisions buying a place outside the city when they’re ready to make that leap to homeownership. 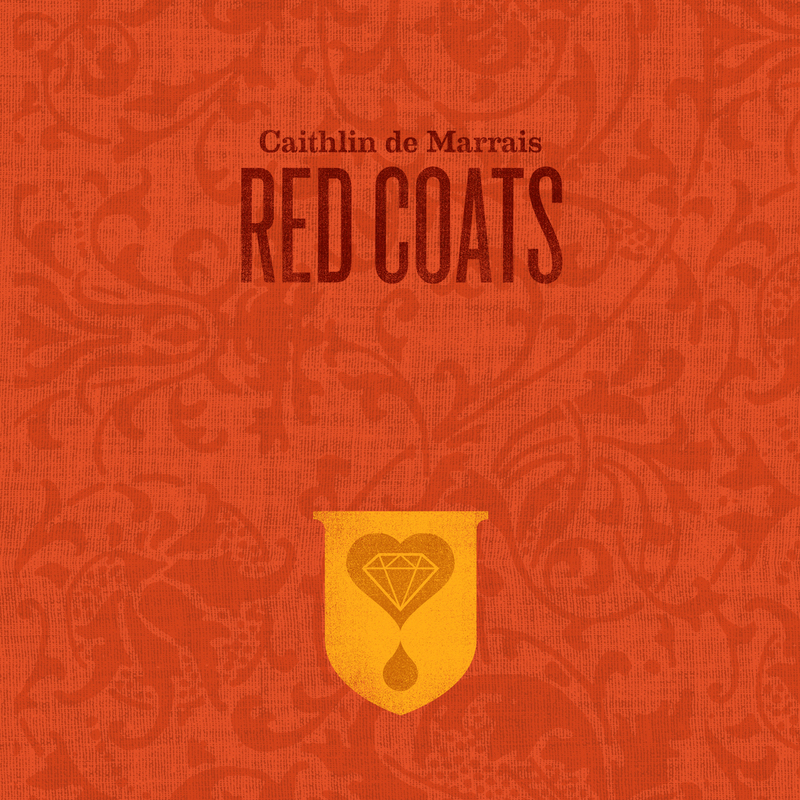 Caithlin De Marrais’ gorgeous, engrossing second album, Red Coats, appears November 8th on End Up Records, distributed by Polyvinyl Records. Now Caithlin has entered a new phase of fervent creativity. For her new album Red Coats Caithlin spent more than a year recording a full album of demos in her basement, then returned to the studio with the support of her fans via Kickstarter.com. The Poison Tree’s Steve Salett and Rocketship Park frontman Josh Kaufman produced the album at Saltlands studio in Dumbo, Brooklyn. Analog fuzz-scapes carry the listener over playfully idiosyncratic drum loops. The softly sung vocals that beckon you into the record turn later into the primal belts Caithlin was known for in Rainer Maria. Using the sonic map Caithlin had sketched out with the demos, they immediately navigated towards an intimate, unembellished vocal treatment. The songs on Red Coats were conceived during the wee hours of the night—the only time Caithlin had to herself—and then reared on the insomniac energy of motherhood. “I had to demo the songs around (the baby’s) sleeping schedule, which created a lot of constraints. But I discovered I was able to be very focused and productive,” says Caithlin. “Because I had no freedom in one sense, I created a new freedom by teaching myself how to use recording gear I had never used before. On one hand I was living in the visceral world of being a new mother, and at the same time I was immersing myself in Garage Band, Logic and Reason. Caithlin wrote many of the songs for Red Coats on piano, but the listener will find all manner of electric and analog keyboards on the record. Steve and Josh were keen on mining the vast array of vintage and unusual instruments housed at Saltlands. Josh was seen more often that not darting through the live rooms with a new idea and a new instrument to play it on. He struck a little hammer dulcimer with a ballpoint pen on “Sorry.” On title track, a piano with an open lid became a makeshift harpsichord as Steve, Josh and Caithlin took turns at pressing keys and dampening strings. That song also features drummer Konrad Meissner playing on a drum kit made only out of empty drum cases. On “Birds” they ran handclaps through a Sears Silvertone amp, then a drum loop through a Hammond x66 organ. There’s even a funny story about that organ. Josh apparently bought it for $5 and a sandwich. When it came time to mix Red Coats De Marrais sat in on most of the sessions, including the handful of songs they farmed out to the fresh and talented ears of Saltlands engineer Jim Smith and neighboring producer Devin Greenwood of Honey Jar studios (who also produced the recently released Denison Witmer/ Caithlin De Marrais/ Devin Greenwood cover of Sufjan Stevens’ “Abraham” for the benefit album, “Seven Swans Reimagined”). MMC was recorded in free recording sessions that channeled Van Morrison’s Astral Weeks, at a Brooklyn church, a cottage in upstate New York, and several Brooklyn apartments including Caithlin’s own. Her Rainer Maria bandmate Kyle Fischer engineered and produced the record on a portable recording rig. 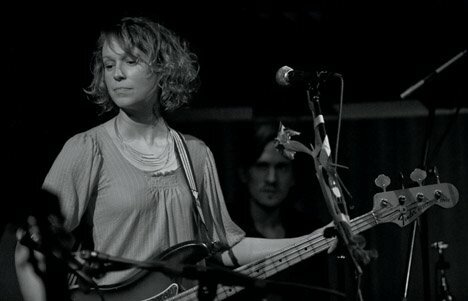 After more than a decade of near constant touring with Rainer Maria, Caithlin kept MMC close to her heart, touring a mere 10 days to support it, which prompted one reviewer to call it, “The best record of the year that no one has heard of” (Heartache with Hard Work, “Best of 2008”). She was 8 months pregnant at the time. In 2009 Caithlin released a recording of one of those few concerts as a split live record, Seb & Cait Live at Joe’s, with fellow End Up Records label mate, Seb Leon. That night they made Joe’s Pub into a place “where everything sounds real and present and unaltered, and oh-so-true”(Ear to Ear Project). With Kaufman on guitar and Jason Lawrence on drums, Caithlin smolders her way through three songs from MMC including an aching, bare bones rendition of “Sparrow.” Seb and Caithlin arranged and recorded three additional songs for the record.